Dr. Andersen performs all cosmetic surgery in accredited surgical centers or hospital operating rooms. Surgery in these environments offer greater flexibility than surgery performed in a physician’s office. It allows the surgeon to perform major surgeries that require an overnight stay without the patient needing to be transferred by ambulance to the hospital. Dr. Andersen performs cosmetic surgery at Bear River Valley Hospital (BRVH) in Tremonton, Utah, located at 905 North 1000 West. For out of state patients Tremonton is conveniently located at the intersection of I-15 and I-84. BRVH is a small non-profit hospital and is a member of the nonprofit Intermountain Healthcare (IHC) chain of hospitals. Patient surveys show the outpatient surgery services at BRVH to consistently rank high among all IHC facilities. All anesthetists at BRVH received their training at the Mayo Clinic in Rochester, Minnesota. Compared to the staff at larger hospitals throughout the intermountain area, the staff at BRVH has a more concentrated experience in caring for cosmetic surgery patients. The staff is very attentive to patient needs and does many things to pamper patients. In addition to providing high quality care, BRVH provides very attractive fees for cosmetic surgery patients. The hospital fee is variable according to the length of surgery and the length of recovery. Fees include pre-op lab tests, anesthesia fees, OR supplies, recovery costs, and post-operative garments. The fee is all inclusive except for take home prescriptions. Hospital fees are payable upon discharge from the hospital. Dr. Andersen also has privileges at Logan Regional Hospital at 1400 North 500 East, Logan, Utah. 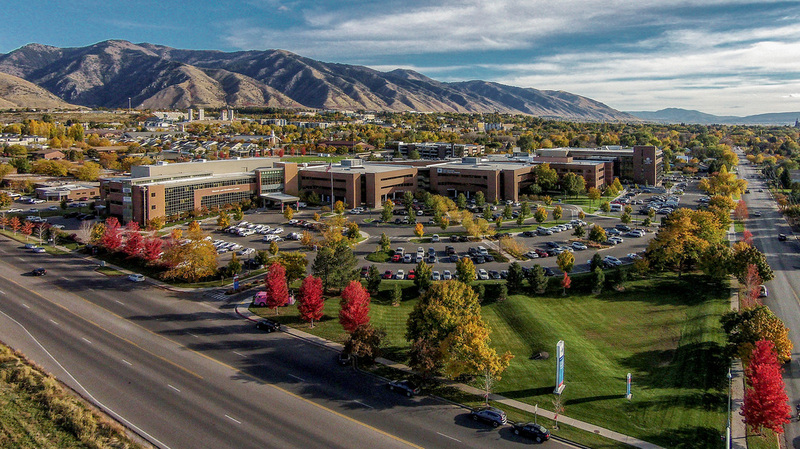 The Logan Regional Hospital is a referral hospital for Northern Utah, Southern Idaho and Western Wyoming and is a member of the Intermountain Healthcare group of nonprofit hospitals. It has very competitive fixed fees for cosmetic surgery patients. The nursing care is excellent. Anesthesia is provided by the Interwest Anesthesia Group. Most Anesthesiologists are Board Certified and provide excellent care. The scope of cosmetic surgery is similar to BRVH. Pathology and blood bank services are on-site. Hospital and anesthesia fees are all inclusive and are not time dependent. Fees are payable in advance of the surgery.